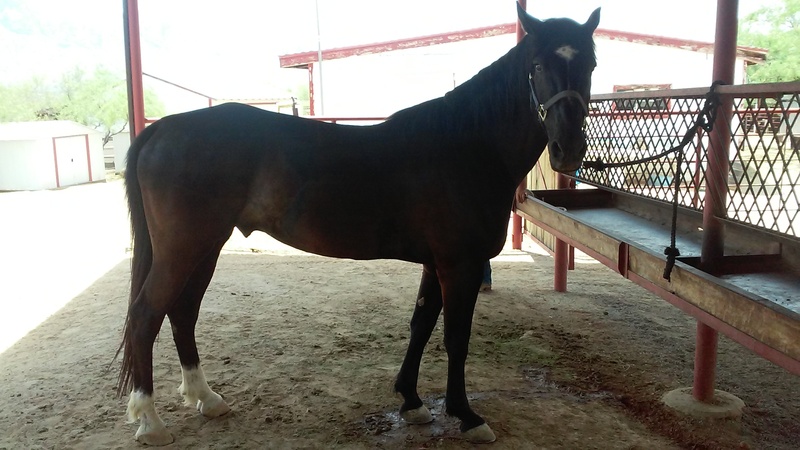 12 year old black gelding, star, two white socks on hind, Dutch Harness / Standard bred cross, 16 hands and 3 inch, 1150 pounds, with a light build. WHAT I LIKE ABOUT TURK: He has these incredibly long legs that just reach out and cover ground. Two of his strides cover the same ground as three strides for most horses. A 2 ½ - 3 foot bank or rock that you need to go over, just hold onto his mane, give him his head and he will climb over without hesitation. He has never refused some of the crazy things I have asked him to do. We purchased Turk in Millersburg, Ohio in 2007 along with another horse we named Caliph. I was looking to put a pair of carriage horses together and these two looked promising. They had the same stride; height, color, and body build so we brought them to Tucson. We drove them single and double for about 2 years as we continued their education. We did a few combined driving events with them and they showed well. Turk moved well, bent well, flexible in the poll, and had excellent rhythm at the trot, but I just could not get his nose down, which is not uncommon for standard bred horses. I made the decision to break Turk to ride and then put him up for sale. Turk broke to saddle easily, had that long stride and a very comfortable jog trot, wow, could he cover ground and never get out of a walk or jog trot. The trouble was I liked ridding him so much that I never put him up for sale. Since 2010 Turk has been used as a saddle horse mostly by myself or my youngest son Joel on long rough country rides, 1-3 days. Turk was never used in the string but was occasionally used as a guide horse. Turk does not kick, bite, buck, or rear, is not a spook and does not bolt or try to run away. He can be impatient and he does like to keep moving. His jog trot is beautiful and very easy to sit. His extended trot is best ridden at the post. Turk’s canter is very long and stretched. I never spent the time to try to shorten his stride at the canter as it was not important for my pleasure. Turk is a beautiful horse, fun to ride and a pleasure to be around but he is not for everyone. 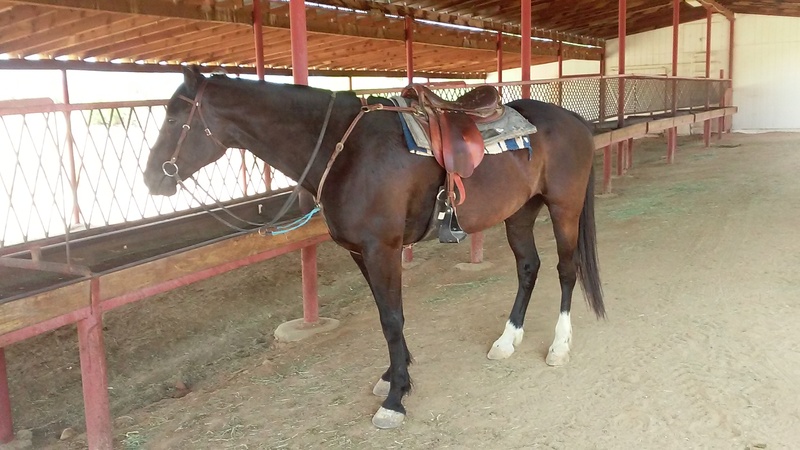 Turk needs an experienced horse person who likes to ride and go places. Turk would be best as a mountain, rough country trail horse, possibly a hunter but certainly someone who wants to conquer the back country. He would also make a great endurance horse. He has the lung capacity and quick recovery rate of an Arabian yet he is a big horse and capable of carrying a larger that normal endurance rider. He might jump, I never tried, but probably not a good candidate for dressage. If you are looking for a unique horse please come and have a look. It would be my pleasure to show him to you.